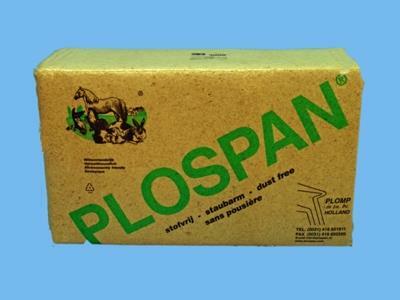 Plospan Wood Fibre is an excellent bedding material and has exceptional absorption power. Because wood fibre is efficient and economical to use, it also significantly reduces manure volume compared with, for example, straw. Working with wood fibre as a bedding material in a stable is also much easier because its structure is more compact so that it can be spread quickly and evenly. When cleaning your stable, the wood fibre can be easily shaken loose from the manure using a muckrake so that bedding material does not unnecessarily end up on the dung heap.